Backbouncing is a special technique for steelhead and salmon, allowing you to fish likely looking runs by using heavy lead to put your bait right on the bottom and, with the help of the current, literally ”bounce” your offering downstream, keeping it literally in the fish's face. The amount of weight required to maintain bottom contact is determined by both depth and current. The rod you choose is based on the power necessary to lift the weight off of the bottom and still set the hook with authority. It requires a stiff tip for maximum control. E6X makes them surprisingly light, tough and very powerful! Graphite handles make it light, durable and extra-sensitive. 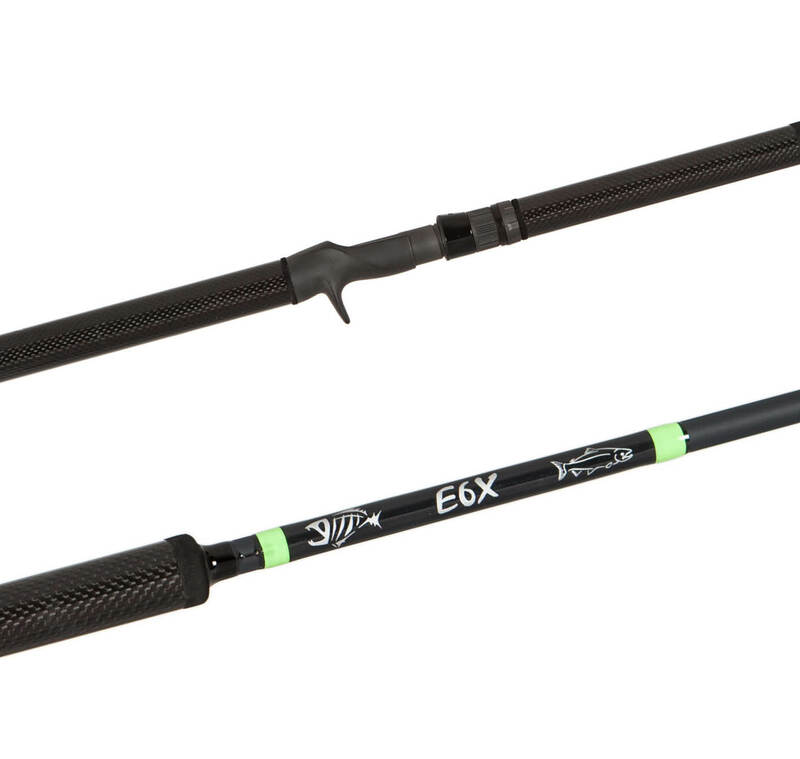 An 8-foot fast-action, one-piece power casting rod, designed mainly to fish for steelhead and salmon on larger rivers with moderate to heavy current. The extra length makes it a better choice for deep-water runs and pools where a little heavier weight is required to be effective and line control is more of an issue. Designed for big fish and big water!